So cute, love the deer. I want one of these alpha sets, was dead set on a different one, but now that this set came out I think I’ve changed my mind. I really like this! Going to hop along to help me make up my mind. Thanks for sharing!! If this was a real snow globe, I would buy it! It is so precious. 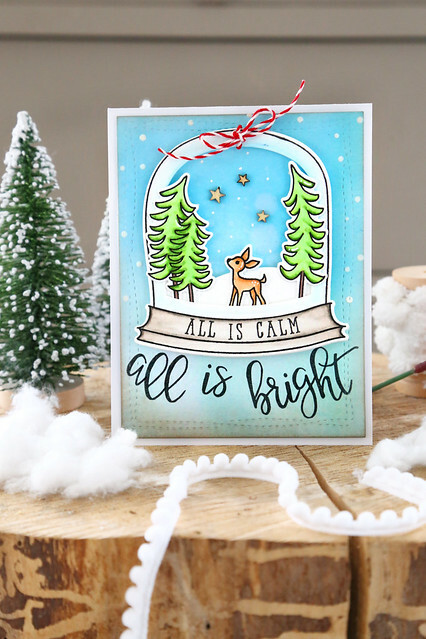 Sweet snow globe and beautiful sentiment! 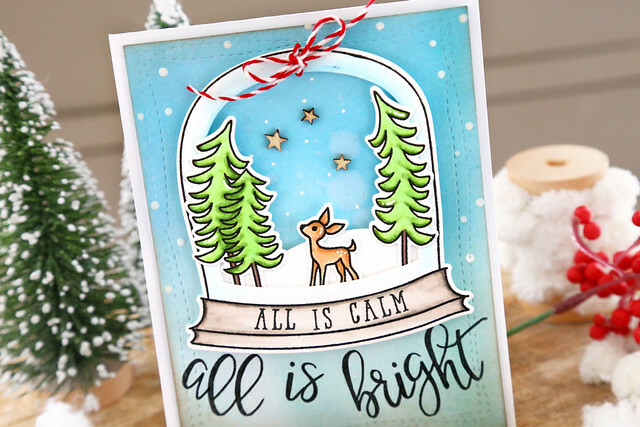 Such a sweet scene in this snow globe. Adorable calligraphy stamp and card. What a great scene. The modern calligraphy font is wonderful. I always love it when designers combine new sets with older ones so I can see how they look together. This is a wonderful card that does just that! The new calligraphy stamp set is beautiful! It looks perfect the way you combined it with the snow globe from last year. 1. Awww!!! Your card is so sweet!!! Love it!!! That's a wonderful card !! I follow you on Pinterest with the account "marge ssw"
I follow you on Flickr with the account "Marjorie Ssw"
An absolutely perfect holiday card! !